Using a custom-modified version of Tchaikovsky’s classic score, Bourne has made fascinating changes to the well-known tale. After arriving in the late Edwardian era, Aurora’s coming of age occurs in idyllic pre-war 1911, thus placing her reawakening, 100 years later, in modern times. Rather than being born to the king and queen, Aurora is mysteriously left on their doorstep. Magically unseen puppeteers portray the willful baby, who is an angelic cherub only when her parents are around. Rather than attending a formal christening, the fairies, three male and three female, sneak in and leave each of their gifts represented by a white feather in the baby’s crib. 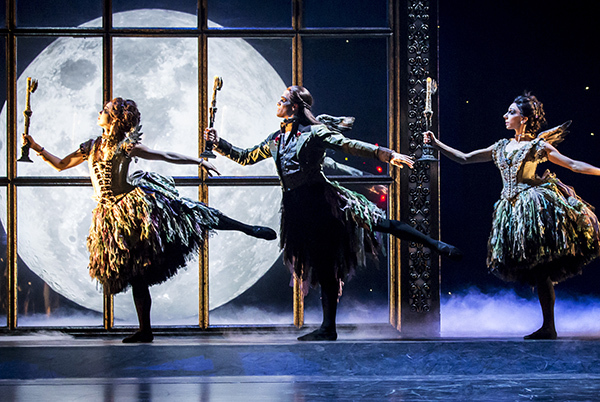 Led by Christopher Marney as Count Lilac, these six dancers are clearly highly experienced. Their extended dance sequence is highly individual and full of expression. The highly experienced Marney, who also serves as associate choreographer, infuses all his movement with characterful purpose. Carabosse storms in to curse the princess. Explaining her curse, she conjures a faceless doll to show that Aurora will die when she pricks her finger on an enchanted purple rose. Count Lilac likewise conjures a faceless male hero who he foretells will bring the Princess back to life with love’s first kiss. Tom Clark plays the haughty, imperious Carabosse with great presence, using his height to help the wicked fairy intimidate those around her. By 1911, Aurora grows into wilful young woman of 21. She enjoys a flirting relationship with boyishly handsome gamekeeper Leo. As Aurora, Ashley Shaw has an appealing wide-eyed beauty, just like a Disney princess. 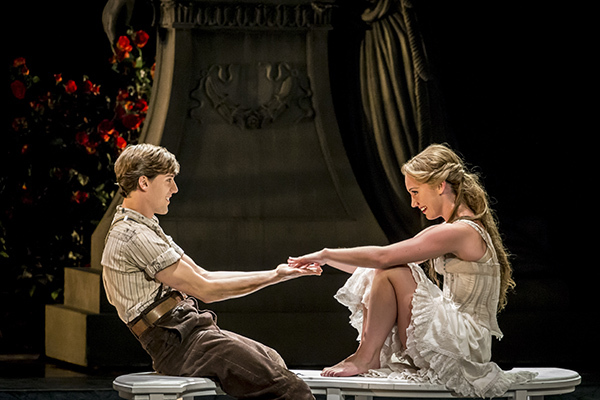 Shaw has a vivid, charming presence, and dances the role with tender beauty. As goodhearted young Leo, Dominic North also has the face of a Disney good guy. With the audience firmly on his side, North dances the role with effortless flair, maintaining a humble countenance despite his impressive prowess. 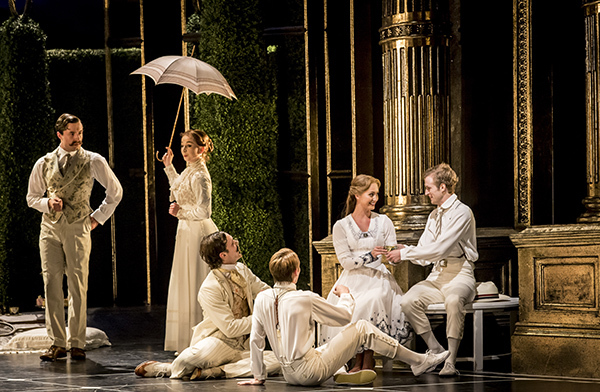 Aurora’s coming of age is celebrated with sunny festivities on the palace lawn, where guests enjoy badminton and dancing to Aurora’s Waltz from the gramophone. In trademark style, director/choreographer Bourne gives everyone on stage a distinct character, and this informs all interactions and business. 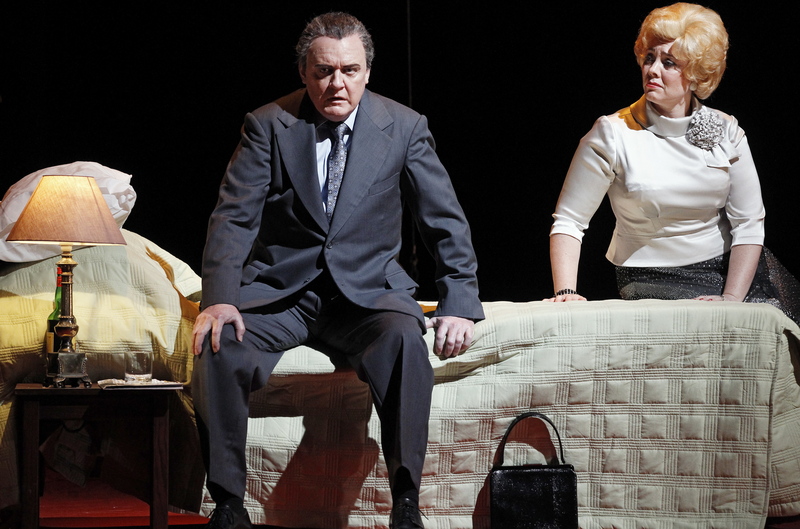 Watching this transpire in a large-scale company dance number is one of the great pleasures of a Bourne ballet. Caradoc, vengeful son of the deceased Carabosse arrives with the purple rose. Clark conveys a barely contained obsessive drive as Caradoc, dancing with clean masculine lines that hide the mania below the surface. Aurora’s finger is pricked and poison creeps up and suffocates her convulsions heartbreaking. 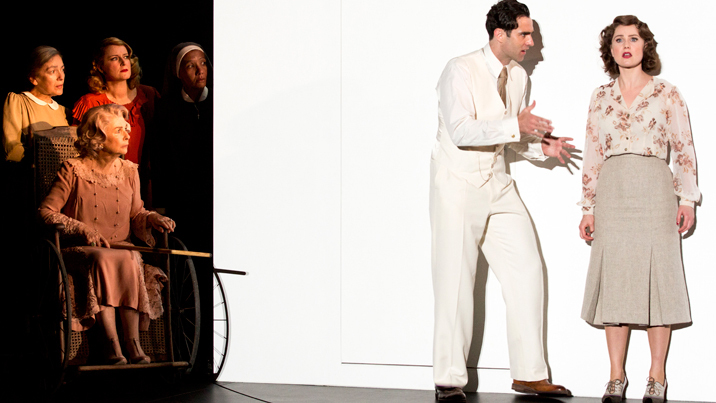 Shaw’s adorable Aurora engages the audience so successfully that her plight is quite distressing. 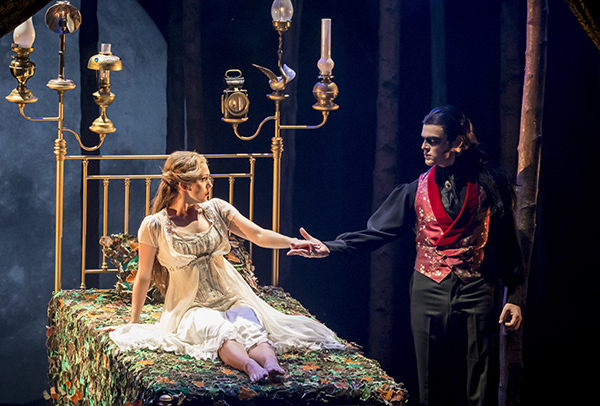 As the act one curtain falls, Count Lilac sinks his fangs into Leo, ensuring he will be around to wake Aurora in 100 years. Just like in Brigadoon, the one hundred year time jump is made clear by the presence of sightseers in modern dress. Outside the overgrown palace, Leo has been camping in a tent. In a witty touch, the passing days have been marked as notches all over the tent. Count Lilac gives the Leo the key to the palace gate, inside which he encounters a chorus of dancing sleepers. Creepy Caradoc caresses Aurora while sleeping, desperate for her to wake. Leo kisses and wakes Aurora but Caradoc absconds with her before a happy ending finally eventuates. Les Brotherston has furnished the gothic production with a lavish design housed within glossy black constructions with gold trim. Two upstage travelators facilitate magical movement, and a bright full moon also features. Brotherston has designed an amazing array of costumes. 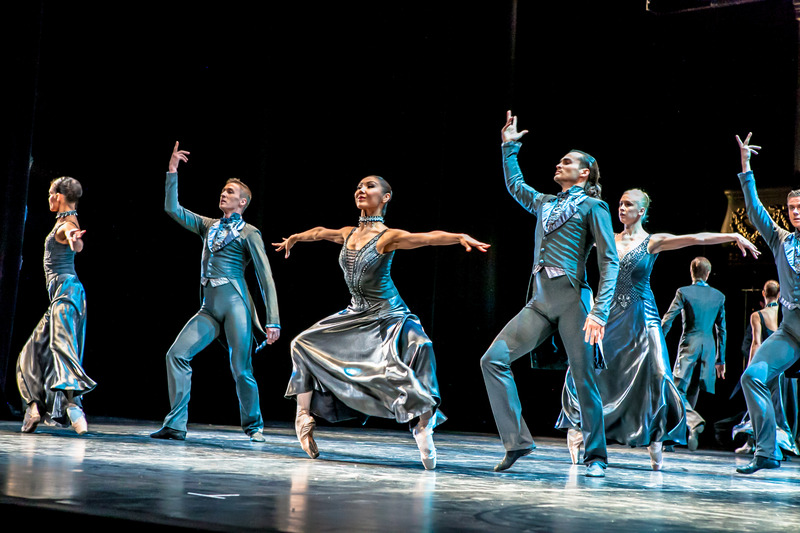 Given the number of characters seen throughout the ballet, it is rather unbelievable that in the curtain calls there are seen to be only 17 dancers in the company. 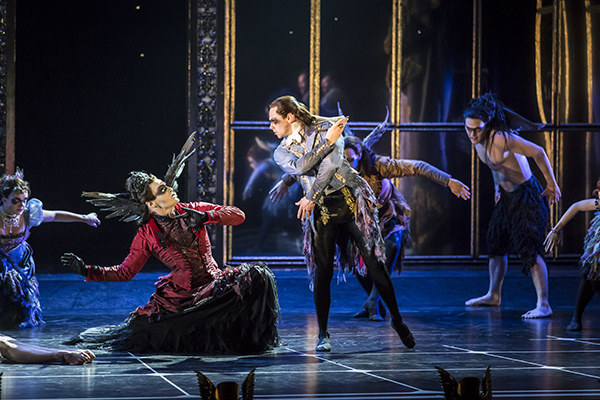 Matthew Bourne’s Sleeping Beauty played the last performance of its current London season on Sunday 24 January 2016. It now departs on a major UK and world tour to Italy, China and Japan. 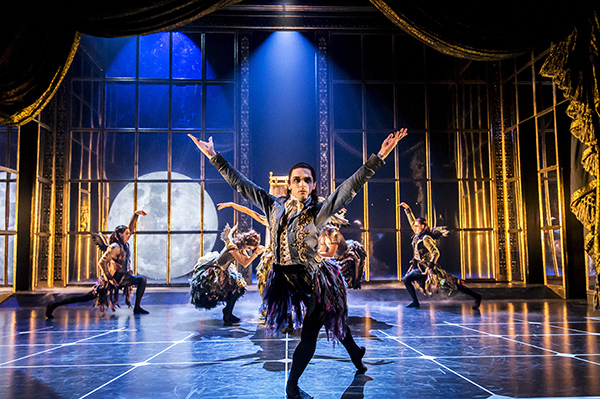 Matthew Bourne’s Sleeping Beauty was reviewed 2pm Sunday 24 January 2016.